Petra Kvitova admits it’s a ‘weird’ feeling knowing her qualification fate is in the hands of others in her WTA Finals group after she suffered two opening defeats but is choosing to focus on the positives as she enters the closing stages of her season. Kvitova had a sensational first half of 2018, winning a tour-leading five titles, but she has lost five of her last six matches and confessed it’s been difficult finding the energy to finish the season strong. “I think that in the second half of the season I have been a little bit tired from the first half,” said the two-time Wimbledon champion. Looking beyond this tournament and ahead to 2019, Kvitova concedes that she will need to resort to more meticulous scheduling in order to avoid late-season burnout. “Definitely I need to have a good off-season as I had last year. And I think that we will do a little bit better scheduling of the tournaments not to get this many, well, it’s great to have so many matches, but in the other hand, it’s just taking me some energy. So I think we just need to find a balance of playing those tournaments,” she explained. Kvitova was talking while Svitolina was halfway through her three-set win over Pliskova. Had Pliskova won that clash, Kvitova would have already been eliminated from the competition, deeming their upcoming match on Thursday a dead rubber. Kvitova leads Pliskova 3-0 head-to-head and the former is working with the latter’s ex-coach Jiri Vanek, who switched sides at the end of 2016. “I think for them it’s going to be tough match, and every one of them, they try to do the best and try to beat the other one,” said Vanek of their upcoming showdown in Singapore. Pliskova, currently coached by Rennae Stubbs, has taken just one set off of Kvitova in three previous meetings but she’s hoping she can turn things around this time. She has faced two counter-punchers so far this week in Singapore, Wozniacki and Svitolina, and knows she’ll be taking on a far more aggressive player on Thursday. “It’s gonna be completely different match, for sure, than those two. We played this year once [Petra and I]. Always when I played her she won the tournament, so maybe this time it’s gonna be different,” Pliskova said with a smile. Caroline Wozniacki got her title defence back on track at the WTA Finals in Singapore as she posted a 7-5, 3-6, 6-2 victory over 2011 champion Petra Kvitova on Tuesday. Wozniacki, who lost her opener to Karolina Pliskova on day one of the tournament on Sunday, overcame a left knee problem that bothered her in the second set against Kvitova to claim a sixth win in 14 clashes versus the Czech world No. 5. The Dane’s triumph improves her chances of qualifying to the semi-finals, and left Kvitova hanging in the balance. Kvitova is the only player with a positive head-to-head record against all of her fellow group members but it amounted to little so far this week, as she suffered defeats in both her meetings with Svitolina and Wozniacki. The Czech has now lost five of her last six matches on tour. In her showdown with Wozniacki on Tuesday, it was the former world No. 1 who drew first blood. Wozniacki converted her first break point of the tournament on her 12th opportunity. She was 0/10 in her opening match against Pliskova and missed one earlier in the first set against Kvitova. But the Australian Open champion found the winner to break in the eighth game and lead 5-3. Kvitova got her hands on a break point the very next game, thanks to some punishing backhands, and she got the break back on a long ball from her opponent. They were soon on level terms at 5-all. Wozniacki staved off Kvitova’s assault in the following game to complete a gutsy service hold. Kvitova’s error count kept moving in the wrong direction and she quickly found herself facing set points in game 12. Wozniacki converted on her second of the game, and third of the set to take a commanding lead over the Czech lefty. The second set began with three consecutive breaks before Kvitova finally consolidated for a 3-1 lead. Wozniacki called the trainer and received treatment on her left knee. Following a six-minute interruption, Wozniacki returned to the court and won the next two games to even up the set to 3-all. A fifth service break of the set came in the next game as Kvitova once again took the initiative. Wozniacki saved two set points but Kvitova closed the deal on her third opportunity, slicing her way to a hold and forcing a decider. Defending champion @CaroWozniacki seals the win at the @WTAFinalsSG! Wozniacki made the first move in the final set and held for 2-0. In uncharacteristic fashion, Kvitova threw her racquet in frustration in the next game as she attempted to hold serve. The two-time Wimbledon champion looked spent and her opponent capitalised on that and was soon up a double-break and serving at 4-1. She took the next two games to secure the win leaving Kvitova on the edge of elimination. A win for Pliskova against Svitolina in the second match of the evening would end Kvitova’s chances of advancing to the semis. When Simona Halep was asked to put her thinking cap on and analyse the WTA Finals field – now that she has withdrawn from the tournament with a back injury and won’t be competing – the Romanian was unable to pick a clear favourite. The top-eight line-up for the season finale in Singapore reflects the incredible depth of the women’s game these days and a quick look at the match-ups indicates we’re in for a real scorcher this upcoming week in the Lion City. “I can say I see some players that have a bigger chance, actually Caroline Wozniacki because she won last year and I think the court suits her,” Halep told reporters in Singapore on Saturday, after picking up the WTA Player of the Year award the night before. 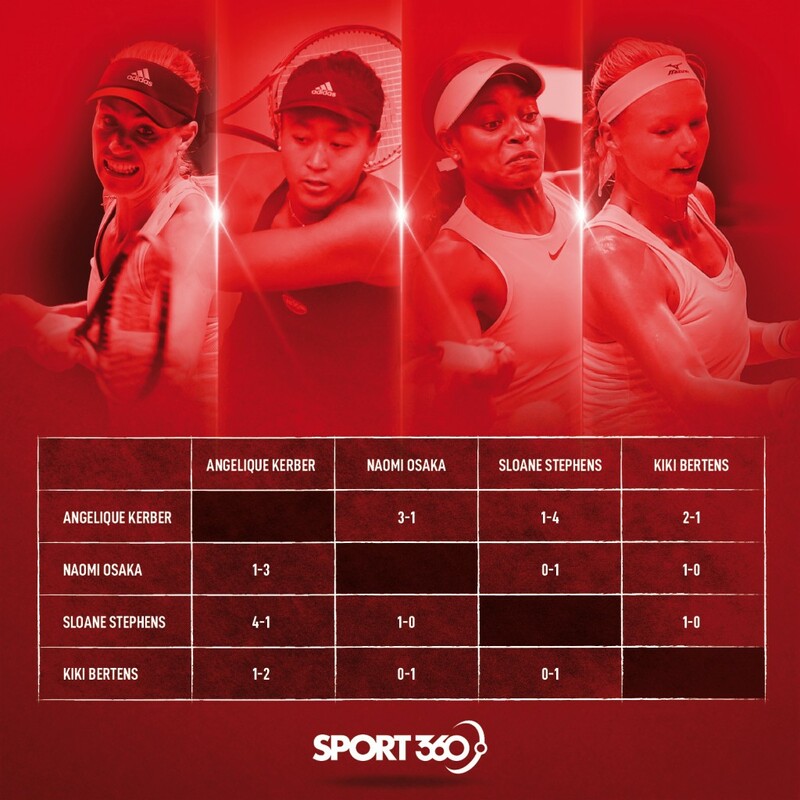 The three WTA Finals first-timers, Osaka, Sloane Stephens and Kiki Bertens, were all drawn together in the Red Group alongside 2016 runner-up Angelique Kerber. Of the trio, Osaka comes to Singapore with the biggest momentum, having won the US Open, made final in Tokyo, and reached semi-finals in Beijing in her last three tournaments. The fourth-ranked Japanese – the youngest in the field – seems to be adjusting nicely to her place among the world’s best and has the benefit of previous playing experience on centre court at the Singapore Indoor Stadium, as she played and won the final of the WTA Rising Stars event there in 2015. While others may take their feet off the gas pedal once they’ve achieved a major goal like winning their first Slam, Osaka is hungry for more and ready for battle. “Of course I’m very happy that I am in this position that I am, but I don’t necessarily want to have the feeling of satisfaction, because that means that, I don’t know, you think you have reached your goal. For me, I don’t want to stop here,” the 21-year-old told reporters in Singapore on Saturday. Bertens is also familiar with the venue having qualified for the WTA Finals in doubles last year, alongside Johanna Larsson, where they were runners-up. The Dutchwoman has won two of her last six tournaments, in Cincinnati and Seoul, and can rely on her tour-leading 10-5 record against top-10 opposition this season when she faces her fellow Singapore qualifiers this week. Stephens, whose year is highlights by winning Miami and reaching the finals at Roland Garros and Montreal, was winless in Asia (post-US Open) throughout her career up until she snapped her losing streak with two victories in Beijing earlier this month. While the American has lost her opening match in three of her last four tournaments, she loves a big stage and tends to step up against the top guns. Stephens is also a combined 6-1 head-to-head against her fellow Red Group members, including a 4-1 lead over top-seeded Kerber. 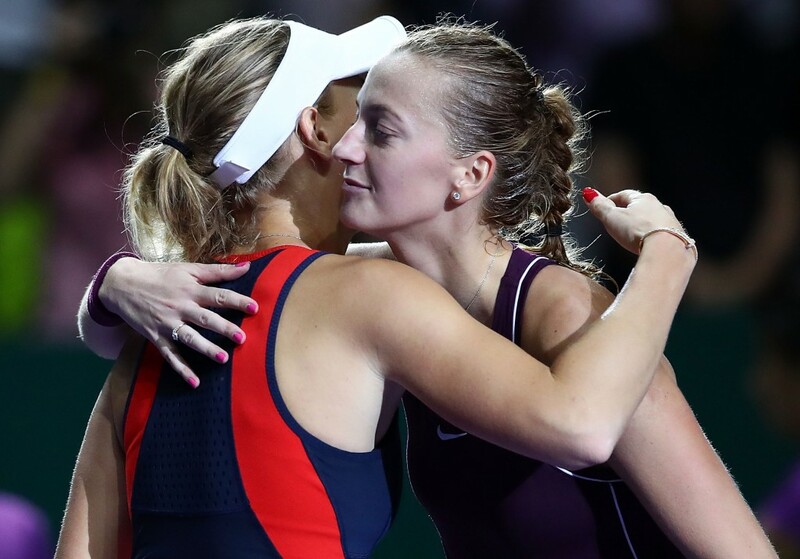 Kerber and Kvitova are back in the WTA Finals for a fourth and fifth time respectively. Kerber is back in the fray for the first time since she was runner-up in 2016 while Kvitova makes her return to the event for the first time since she was runner-up in 2015. Kerber, who split with her coach Wim Fissette ahead of the tournament despite having a stellar year with the Belgian, ended 2017 ranked 21 in the world, and was far off the cut-off for Singapore. She won Wimbledon and Sydney this season and is currently ranked No. 3 in the world. Kvitova, a WTA Finals champion in 2011, missed the season finale the last two years but is seeded No. 4 this week and leads the tour in 2018 with five titles won. The Czech lefty was happy to report that centre court this year plays faster than previous years in Singapore – faster surfaces suit her game better – and she is a comfortable 18-6 against her fellow White Group members head-to-head. She also likes the format of the event, and carries a 7-1 head-to-head mark against her first opponent Elina Svitolina on Sunday. “I think that, like, from the first match we are meeting the best players. So that’s like obviously I love to play the best of players on the big stage. This is kind of all eight and above that, so from the first match we really have to be ready for that. That’s why I think is bringing the best for me,” said Kvitova. 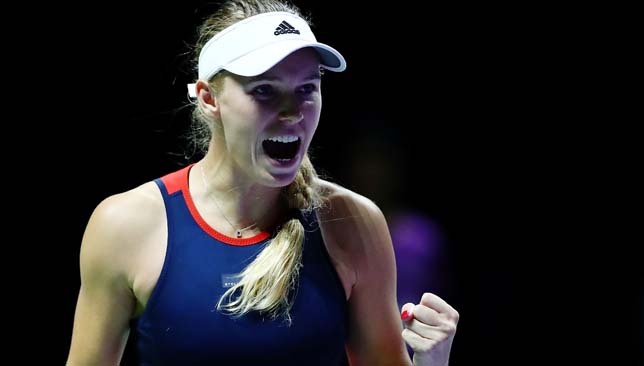 Wozniacki is bidding to become the first player to successfully defend her WTA Finals title since Serena Williams won back-to-back crowns in 2013 and 2014. The Dane’s success in Singapore last fall made way for further glory at the start of this season, as she captured her maiden Grand Slam title in Australia in January. The Dane is a combined 12-14 head-to-head against her fellow White Group members and opens her campaign on Sunday against Pliskova, in a rematch of last year’s semi-final. Wozniacki received a much-needed boost during the Asian swing when she picked up the title in Beijing earlier this month.